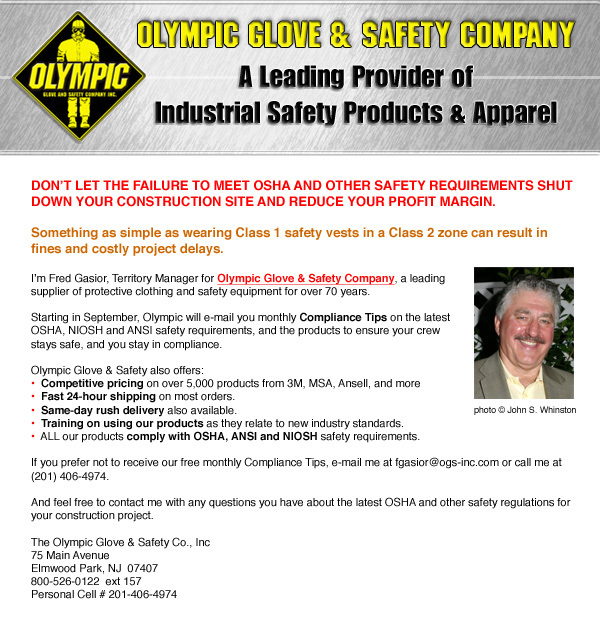 To increase awareness and sales for this safety equipment company, we created an e-mail “blast” to construction managers in the tri-state area. The subject lines and text had to be both compelling and very succinct as most construction managers read their e-mails on the small screens of their PDAs. The campaign garnered impressive open rates of 15%-20.5%.